Rihanna is not exactly a woman to be messed with. She has made it clear that she was willing to give boyfriend Chris Brown another try, and quite frankly, things were actually going really great for the two. We saw pictures of them hugging, laughing, and not to forget that Brown is also featured on Rihanna’s new album Unapologetic, on a track titled Nobody’s Business. So what could have possibly gone wrong this time? According to Rihanna and sources, Chris Brown was seen at a nightclub with former girlfriend Karrueche Tran, who he split from just two months ago due to his “close friendship” with the Bajan singer. Though he says he’s still in love with her, he doesn’t want to hurt her feelings by always spending so much time with Rih-Rih. Well, it looks like Chris is gone back to Karrueche after all,- the two were seen at a nightclub in Paris before leaving together in the early hours on Saturday. 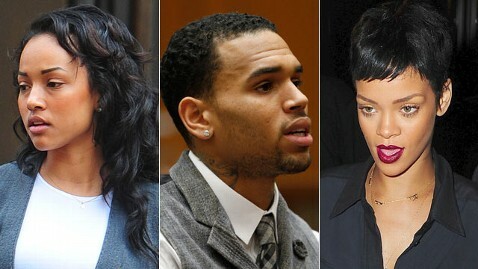 Rihanna has since commented on the reports, and she knows it’s true because Chris wouldn’t have denied it. So, what is her way of getting revenge on her boyfriend? Expose him on Twitter of course. On the social networking site, the singer wrote that Brown needed to “examine what you tolerate”, “goodbye muthaf**ker” and “you give, you get, then you give it the f**k back”, before stripping off naked in front of best friend Melissa Forde who has posted the pictures on her Twitter page (let’s just say, the pics were very explicit. But, the question remains to be: what will these two do next? Here’s our answer: get back together. We’ll give it another day before Rihanna cools down and makes up with Chris.